Go for one of our cool, urban skin fade looks. It is achieved by cutting the hair shorter and shorter up towards the head for a tapered style. It's an awesome base haircut to jazz things up and makes for a very clean-cut style. We also keep our own selection of products that our customers love and keep coming back for more. Our barbers have years of experience and can excel this look in relatively no time at all. 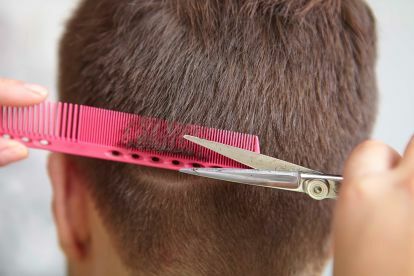 Our handy barbers is the best hair and beauty salon in London for males. 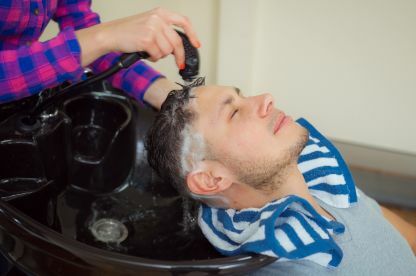 We're an approved centre for hair and grooming treatments, made to fulfil all your demands that's why we make getting here and contacting us simple. We're a hub of culture and tranquility in a bustling city, and we place customer service at the heart of our business. Take a break from your hectic life and chill out in Clepsydra Barbers, our vibe is friendly and informal. We're always up for a talk or if you want to just relax while we work on your hair, that's ok too. Enjoy our wide selection of premium products and hair gels. Our barber brings the technical expertise to the table, all you need to bring is yourself. Get in touch now - our team will be happy to talk you through the variety of treatments and grooming services that we offer. Very good hair cuts for the kids and quick service! I never had to wait although there are always customers. Which is great when you have toddlers! Top service...proper lads working there all know their stuff. This set up is going places. 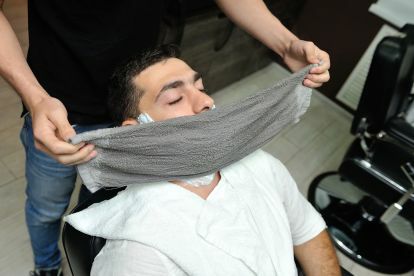 Introduce shave and hot towel and you guys will kill it. I'm 37 and had my first wet shave here. Would highly recommend them! Great experience and a good job. I'm no expert of course but the other half and baby were very happy.. Please note that Clepsydra Barbers may not be able to honour booking requests made.